Lonni’s background includes over 20 years in finance, insurance, banking, and automotive industries. As a business development specialist, Lonni is currently assisting a start-up tech firm, Verifinity, a firm committed to providing smarter data that results in a safer workplace as well as continuing her advisory role by working with business owners to assess their need for life, disability, and long-term care insurance. Previously she was Wealth Director for The Bank of New York Mellon where she worked with clients, foundations and endowments with a net worth of more than five million. She worked closely with her client's other advisors such as attorneys, accountants, consultants and family offices. Prior to her role at The Bank of New York Mellon, she owned and operated her own financial planning firm where she structured retirement income plans for clients aged 55+. Lonni co-founded Corpus Capital Management and Corpus Insurance Services during the height of the 2008 financial crisis. She identified a great need amongst retirees that needed true advice on what to do with their retirement assets that had dropped significantly during that time. In addition, to retirement planning for seniors, she spent time working for The Guardian Insurance Company structuring life insurance, disability insurance and long-term care insurance for individuals, couples and business owners. 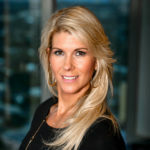 Lonni began her finance and insurance career working for one of the most successful entrepreneurs in South Florida, Jim Moran, founder of JM Family Enterprises, Inc. She held progressively responsible management positions in the Human Resources, Sales Planning and Customer Loyalty areas of the finance and insurance subsidiaries. Lonni credits her passion to help others to her experience and JM Family due to the example Jim Moran had for the firm. Lonni holds her Bachelor of Science in Business Management, FL 2-15 Life & Health license and the Series 65 Investment Advisor Representative license. She is on the Board of the Boys & Girls Clubs of Broward County and is a member of Rotary, Cypress Creek Fort Lauderdale Club. Lonni’s interests include travel, snow skiing, sporting clay shooting and maintaining a healthy lifestyle.